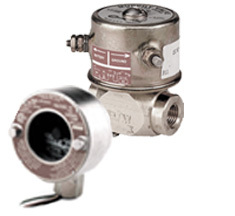 FW Murphy supplied by Export Oil Field Supply Co.(Int'l) Inc.
FW Murphy has been a leading innovator in engine controls and monitoring systems since 1939. FW Murphy offers hundreds of products that monitor and control compressors, pumps, generators, and more. These are the nerve centers that translate SWICHGAGE� contact operations into decisions and operate the alarm or shutdown device.